Jordan Rubin formulated Primal Defense ULTRA to be the ultimate high potency, broad-spectrum probiotic formula. All organs and systems rely on the health of the digestive tract. Proper digestion is essential for the body to absorb and utilize the nutrients it needs. In addition, 75% of the cells necessary for the immune system to function effectively are connected to the gastrointestinal tract. Probiotics ("Pro"= Positive, "Biotic"= Life) are living microflora that play a critical role in maintaining good health. Present in many live foods but destroyed by heat processing, live probiotic cultures populate the intestinal tract where they play a positive role in digestive and immune health. 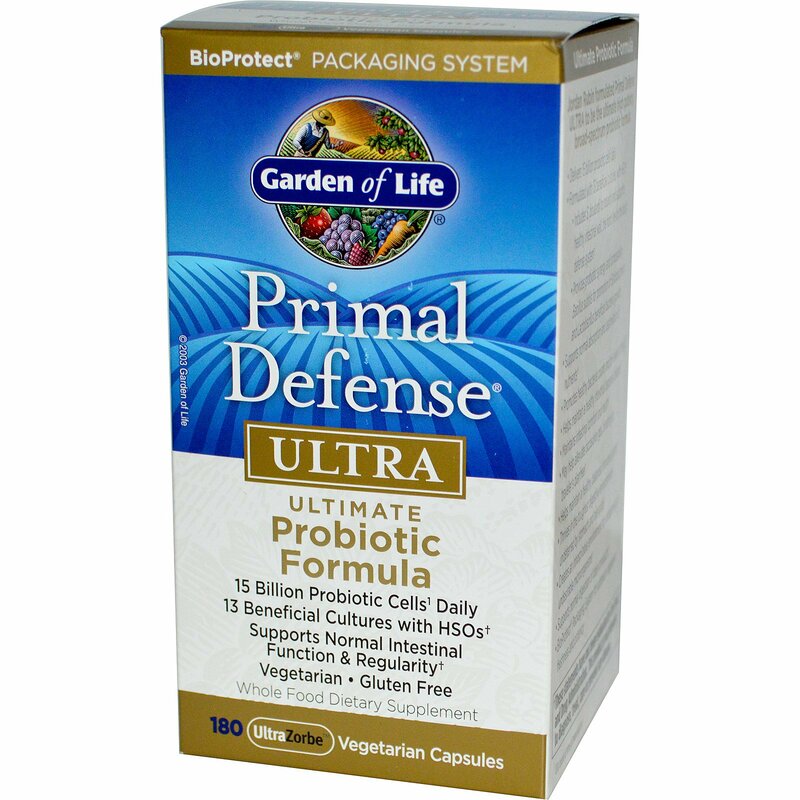 Primal Defense ULTRA is the ultimate broad-spectrum probiotic formula, made to provide 15 billion live cells¹ per daily amount and 13 species of beneficial cultures including soil-based probiotics called Homeostatic Soil Organisms (HSOs). 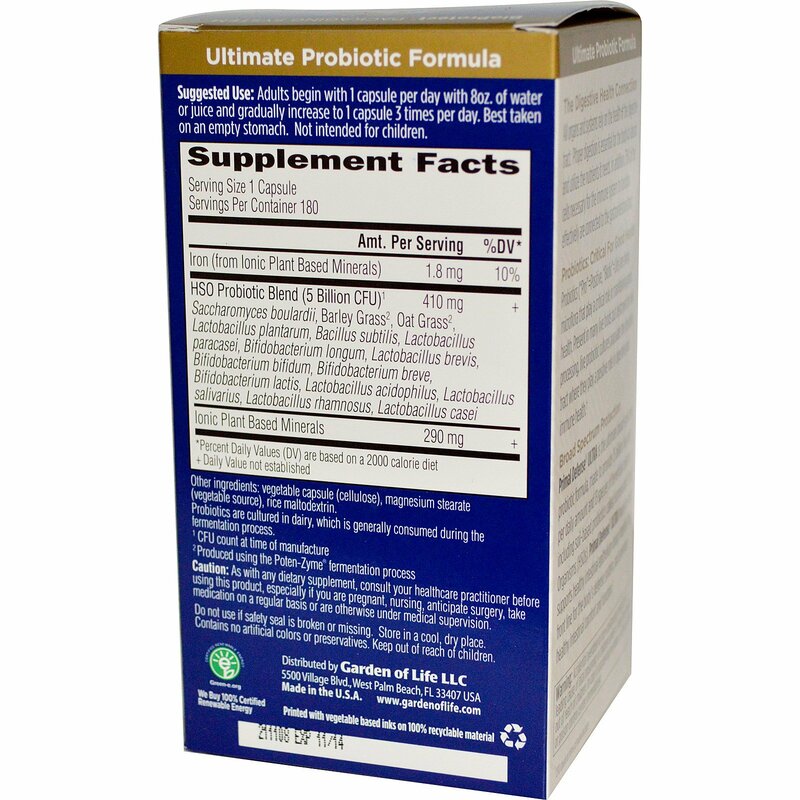 Primal Defense ULTRA nourishes and supports healthy intestinal epithelium lining integrity, the front line for the body's defense system, and promotes healthy intestinal comfort and function. Adults begin with 1 capsule per day with 8 oz. of water or juice and gradually increase to 1 capsule 3 times per day. Best taken on an empty stomach. Not intended for children. Vegetable capsule. (cellulose), magnesium stearate (vegetable source) rice maltodextrin. Probiotics are cultured in dairy, which is generally consumed during the fermentation process. Vegetarian. Gluten Free. Contains no artificial colors or preservatives. Accidental overdose of iron-containing products is a leading cause of fatal poisoning in children under 6. Keep this product out of reach of children. In case of accidental overdose, call your doctor or poison control center immediately. Caution: As with any dietary supplement consult your health care practitioner before using this product, especially if you are pregnant, nursing or under medical supervision. Do not use if safety seal is broken or missing. Store in a cool, dry place. If you are currently undergoing HIV treatment, chemotherapy, or allograft therapy, do not use before consulting your physician. Do not use if safety seal is broken or missing. Store in a cool, dry place. ¹ CFU count at time of manufacture. ² Produced using the Poten-Zyme fermentation process.